What is a web site for? It provides a way to find new customers or to give the existing customers information or online services. A web site must first of all correspond to one or all of these aims. When you give us a project for your web site we think together with you how to create the web site in order to fulfil its purpose. We also optimise the site so that it is search engine friendly and validated, so that it is easily found by your clients. 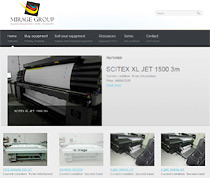 Fashion.bg Web Design Studio exsists since 2001 and we have a lot of experience in various projects. Although a small company, we are proud to provide services for about 6 years to a World organization based in Geneva, Switzerland (we can't disclose the name due to a contact clause). Among our clients are also companies from the UK, USA, Italy, the Netherlands, Greece, Ireland, Bulgaria. We always try to keep things straightforward and logical, in order to keep development time as low as possible and to save money by achieving quickly the best possible results. We don't start projects that we are not sure if we can finish. We prefer clear specifications and knowing exactly what your needs are, in order to fulfil them. We are not just developers, we are people acquainted with the business on the Internet and we can help you with various advices and ideas. 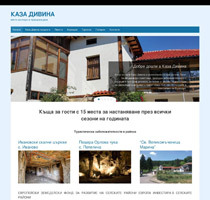 We have several successful own web projects. If you need a web site with attractive design, good navigation, search engine optimised, validated, order your web site with us. We can also provide separate services for logo creation, icon design, creating advertising banners, e-cards etc. We can also offer development services such as e-mail forms, e-shops, directories, web sites with CMS. More than 500 completed projects!